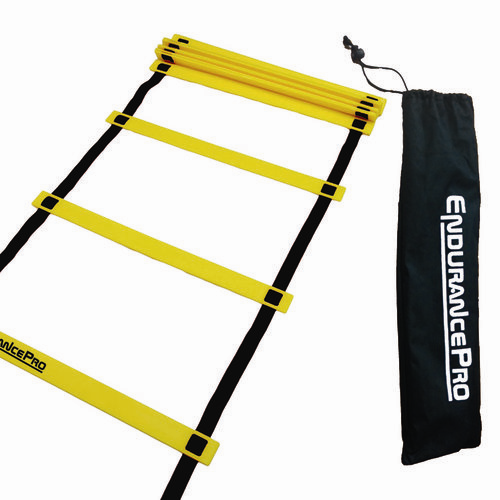 I just got this great agility and training ladder from Endurance Pro. This is a really great high quality exercise ladder that you can use to improve your health. There are several adjustable slats that you can space how you want them (I love this feature cause it’s customizable for anyone). The straps are really well made and durable so they are not going to unravel or break on you. It all comes in a nice carrying case that you can store it when you are not using it. Makes carrying it from different locations a lot easier. There are a bunch of exercises you can do with this and there is a free e-book that comes with it that gives you a bunch of different exercise you can do with it. BEST SPEED TRAINING EQUIPMENT Endurance Pro Agility Ladder Your Ideal Path To Increase Personal and or Team Performance – Increase Your Speed, Agility, Fitness & Leg Strength. FREE LADDER DRILLS eBOOK Multiple Exercises To Suit Your Personal Training Needs Whether You Are A Beginner Or Pro This Is The Perfect Piece Of Crossfit Training Equipment.